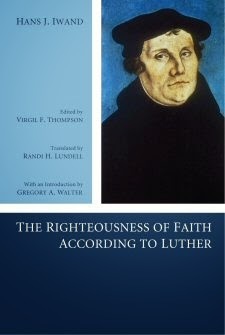 The free Logos Book for July is The Righteousness of Faith according to Luther by Hans J. Iwand. Here is a description of the book. Hans Joachim Iwand’s 1941 monograph, The Righteousness of Faith According to Luther, is an important contribution to contemporary appreciation of Luther’s theological significance. Although Iwand wrote his study three decades after the beginning of the Luther Renaissance, it nevertheless developed some of the central insights of Luther scholarship during that period. Two concepts—in particular, promise and simultaneity—are crucial to an appreciative understanding of Luther’s doctrine of justification. The language of promise presents justification to the believer as a reality that has yet to arrive or is hidden under present reality. And the language of simultaneity attests that humans remain throughout their lives one in the same, sinner and saint. This beautiful translation by Randi H. Lundell makes Iwand’s down-to-earth presentation of the doctrine at the heart of Luther’s theology, at long last, available to English-language readers. You can also enter to win the entire 15-volume Select Studies in Martin Luther's Life and Influence. Go the Logos' Free Book of Month page to enter and download your free book today!